The former Zellers Forest Lawn, now Target, is said to be haunted by a ghost staff members call George. He knocks things off of shelves, turns up the music, and has been known to play bagpipes out of the clear blue. 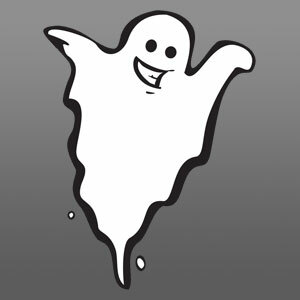 Seen on the TV show Creepy Canada, the Rogue Restaurant in Calgary is reported to have a playful ghost girl who often runs around the rooms or hangs out either in the kitchen or by the fireplace. The apparition of her father has been seen watching over her. Rouge Restaurant, previously the home of A.E. Cross, is believed to be haunted, according to witnesses who have seen and heard strange things. Among them are ghosts, moving cookware, and the disembodied sound of a child laughing. The Rose and Crown has some ghosts, perhaps because its building operated as a funeral home until the 1980s. According to witnesses, windows open by themselves in the attic, lights come on at night, and a ghost boy resides in the basement furnace. Suitor House, the former home of Robert Suitor, is a house museum that once belonged to a railroad worker who was killed. The railroad man’s wife died shortly thereafter and is said to remain in the home. Visitors claim to have seen her apparition in the house. The 1914 Fairmont Palliser Hotel, Calgary’s oldest, is home to some ghosts, as guests have reported after seeing spectral figures walking in the hallways. At the restored 1907 Doll Block building, formerly Louis Henry Doll’s sandstone jewelry shop Doll’s Diamond Palace where a great diamond heist took place in 1910, there is said to be a ghost. Folks believe it’s Mr. Doll’s wife, who sits at the curving bay window. The historic 1911 sandstone city hall and clock tower used to be a jail, and it is said to be haunted by ghostly prisoners who have been seen walking through the building. Constructed in 1930, the Bank of Nova Scotia building is said to be hone to a ghostly woman who appears in the upper-story window. Folks say she’s the spirit of a lady who was stabbed in the restroom here during the 1980s. The Odd Fellows Temple was once the Calgary Chamber of Commerce, built in 1912. A ghostly elevator operator has been spotted inside the building. Voices and footsteps have been heard at this pub, which supposedly was once a mortician’s office. Some staff believes it is the old mortician himself that still haunts the place. The historic Nanton Auditorium Hotel has a ghost named Rex Irwin, who died in a destructive 1983 fire. Rex is said to move furniture and emit a phantom aroma of smoke and alcohol. We don’t have any specifics on the “whys and hows” of this haunted cemetery, we’ve just been told that it is, indeed, haunted. If you have any other information please let us know via the comments section below! Bowman Arts Centre is reportedly haunted by a young Chinese girl who can be heard crying out from the women’s restroom. Although visitors and staff have gone in to try to help the crying girl, no one has ever found her. Stirling Haunted Mansion is a privately owned home that’s been a popular locale for ghost tours. Owners have reported electrical anomalies as well as several apparitions of a little girl, a teen girl, and an older lady and gentleman. The older man is believed to be William, the original owner. Steve Ramsey, Ph.D. Okotoks Resident since 2008. Alberta resident since 2000. Moved to Canada in 1979. Brunei, Dubai, Lebanon,and many other cities between since 1953 .